Climate change is a massive challenge facing humanity–16 of the 17 most recent years have been the hottest on record. Sea levels have risen, and intense storm have become more frequent. The extent of future climate instability depends on steps we take today. Why should we care about what we eat? Globally, food systems–what we eat, where and how we grow and process it– play a major role in determining our impact on the environment. By considering our food choices, we can find “low hanging fruit” for reducing our carbon footprint. But is it reasonable to think about shifts in diet for environmental reasons? Yes! First of all, diets are constantly shifting anyway. Over the last 50 years, in the United States we’ve seen a substantial increase in consumption of processed foods, fast food, sugar, and meat. In fact, in countries across the globe, increases in demand for red meat and sugar has gone hand in with higher incomes. It is generally acknowledged that these shifts have resulted in increased incidence of cardiovascular disease, type II diabetes, and some cancers. It is also true that these shifts have resulted in a more resource-intensive global food system. In fact, many researchers believe it will be almost impossible to meet the Paris climate targets if diet trajectories stay as they are. Because healthier diets are generally more environmentally friendly, we get multiple benefits from some simple changes. 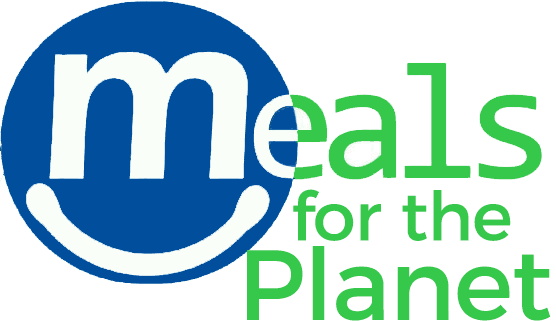 What are some general rules to follow for a planet-friendly diet? Eat whole foods as much as possible. Highly processed foods have more steps in the production chain, and each step requires energy and transportation. Thus, eating foods closer to their natural state is better for the environment. Focus on plants as much as you can. Foods higher on the food chain generally result in higher greenhouse gas emissions due to the production and transport of feed required to maintain the animals over their lifetime. Try to minimize food waste. In the U.S., we currently waste 40% of our food! Imagine all of the resources that went into making and transporting all that wasted food! Also, landfilling of food waste can lead to high global warming potential due to methane production. Are some meats worse than others for the planet? Yes. Ruminant animals (cows, sheep, and goats) release methane, a very potent greenhouse gas, as part of their natural metabolism (whether raised on a pasture or feedlot). Beef and lamb are the most resource-intensive meats, with production resulting in 26 and 23 kg CO2-eq per kg, respectively, for animals raised under typical conventional or organic conditions. This includes methane emissions that occur during ruminant respiration along with the carbon footprint of the feed and maintenance of the animals. In contrast, pork and poultry produce 7 and 5 kg CO2-eq per kg, respectively. Eggs and nuts generate 4 and 2 kg CO2-eq per kg. For comparison, beans produce just 0.8 kg CO2-eq per kg. (Data from Heller et al. Journal of Industrial Ecology, 2014, Supplemental Information). Why do beans have such a low carbon footprint? Well, first of all, eating plants directly is really efficient! Think of all the energy saved by not having to grow more plants, on more land, with more resources, just to transport to animals as feed! Also, beans are able to get their nitrogen from the atmosphere, due to the activity of microbes that live symbiotically with them. Beans can deliver the protein people may otherwise get from meat, so shifting even some portion of meat in the diet to beans can have an enormous positive impact! Jenny is a professor in Civil and Environmental Engineering at UCLA. Her research has to do with the fate and transport of pollution in the environment. Lately her lab has been investigating antibiotic resistance genes in air, water, and soil. She has been vegan for 27 years, and thinks of a plant-based diet as a opportunity to make decisions in accordance with her values several times a day. Jenny feels strongly that our food choices matter a lot–to our health, to animals, and to a sustainable environment. Through her research and teaching at UCLA, she has been calculating the carbon footprint and land use requirements of various dietary patterns. She has applied these calculations to each recipe presented here, so you can see exactly how the meals stack up, ingredient by ingredient, with respect to greenhouse gas emissions next to comparable meals with less resource-efficient ingredients. Also, as a busy mom, she relies on meals that are very quick to put together, can be customized for picky eaters, and pack up well in thermoses for lunch the next day. Jennifer Jay earned her B.S., M.S., and Ph.D. in Civil and Environmental Engineering at Massachusetts Institute of Technology. For the last fifteen years, she has been a Professor in the Civil and Environmental Engineering Department at the University of California Los Angeles. She specializes in the fate and transport of chemical and microbial contaminants in the environment. Her research addresses a wide range of topics including coastal water quality, arsenic in groundwater, and environmental proliferation of antibiotic resistance. She teaches classes in Aquatic Chemistry, Statistics, Chemical Fate and Transport, and Food: A Lens for Environment and Sustainability. She was awarded the Presidential Early Career Award in Science and Engineering, and an engineering school-wide award for excellence in teaching. In addition, she was the Pritzker Fellow for Environmental Sustainability and a Carnegie Fellow for Civic Engagement in Higher Education. Jennifer also directs the Center for Environmental Research and Community Engagement (CERCE), a UCLA Center that addresses community-based environmental research questions in under-served communities in Los Angeles. Josh is a full time philanthropist & plant-powered health advocate from Spokane, WA. He has been a vegetarian since 1994 and a vegan since 2013. 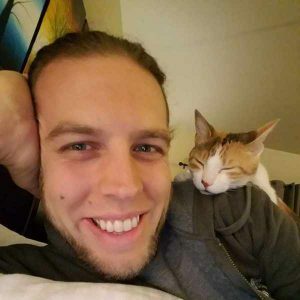 He spends most of his life working towards building a better world by supporting compassionate businesses and non-profits with IT, business, and web support. He created the organization called Loving Co-Op and the mission is to do exactly that. On top of supporting other organizations, he has built a regional vegan non-profit named INVeg and created Spokane VegFest which is an annual celebration of all the amazing ways plant-based living supports a healthier world. He has a strong passion for technology and loves to share his skills. At the end of 2017, he was supporting over 70 organizations around the world. He teaches his clients how to build websites, business plans, restructure their organizations, social media marketing strategies, and anything a small startup, large corporation or non-profit needs to become successful. Josh went veggie at a young age after making the connection between living beings and the “food” sold at the supermarket. One day in the summer of 1994 he was at Burger King having the normal whopper with his mom and he told her he would never have another one, and he never did It took about 20 years to realize that milk and eggs were just as bad to the planet as meat. Going fully plant based was one of the best decisions of his life and he just wished he took the blinders off earlier. Josh received a B.S. in Mechanical Engineering in Technology from Eastern Washington University, a B.A. from Evergreen State College and a Post-Bacc in Automotive Design from Western Washington University. 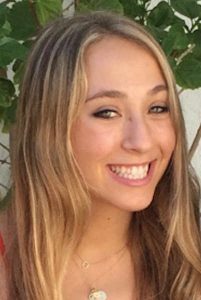 Katie is a sophomore at UCLA majoring in Physics who plans to minor in Environmental Engineering and Global Studies. She’s very passionate about nutrition and health, as well as environmental issues. 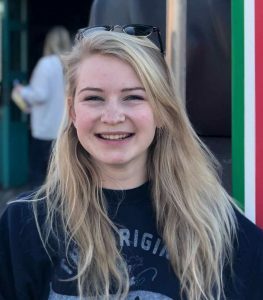 She is currently interested in marketing healthy and environmentally friendly food options to the general public, especially to those who are just starting to learn about thee environmental impact of what they eat. Right now Katie is working to collaborate with various chefs who promote eco-friendly recipes.